The G9S features a multi-function Press Arm Station for bench press, incline press, shoulder press and chest supported mid row exercises. The Perfect Pec� Station with fully adjustable range of motion allows users to achieve deeper muscle penetration for faster, more defined results. The Leg Press/ Calf Press Station operates on a 2 to 1 weight ratio giving the G9S the awesome capacity of a 420 lb leg press! The non-slip, rubber encased foot plate is constructed of heavy-gauge steel for safe operation during the most intense workouts. Shown with optional aluminum pulleys. 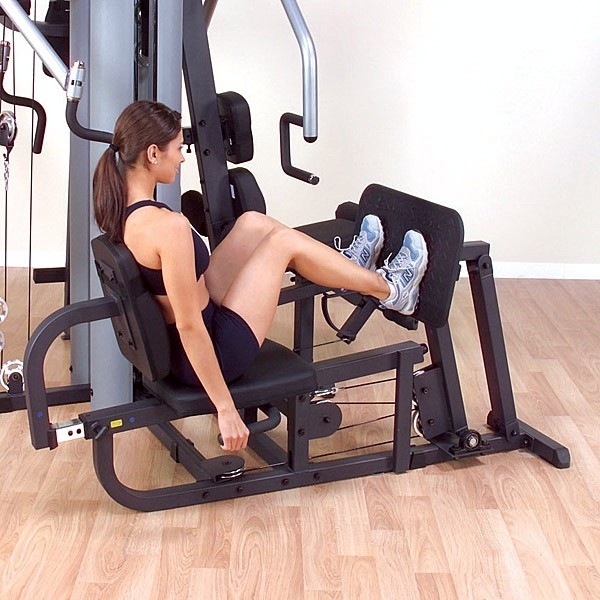 Leg developer station features the SmoothGlide Bearing System� with biomechanically accurate pivot point and integrated CAM to prevent resistance drop-off at the end of the exercise movement. This provides consistent resistance throughout full range of motion. 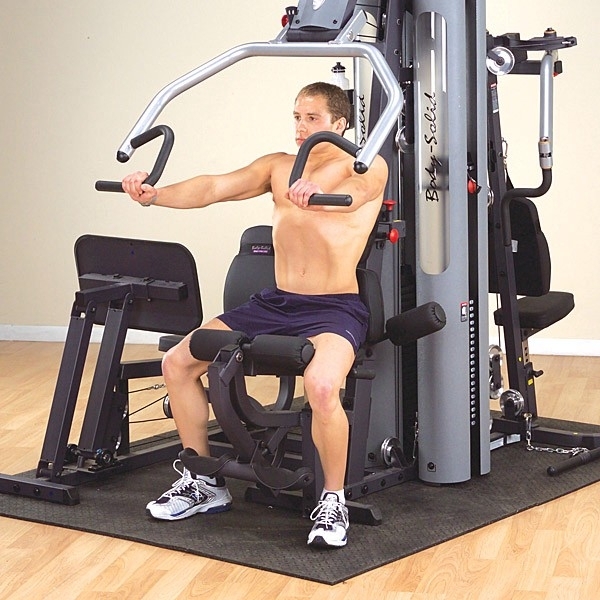 Perfect Pec� station features range of motion adjustment that allows beginning stretch preference. High-density, top grade DuraFirm� pads with lumbar support provide ultimate comfort and prevent lower back strain. 2� x 4�, 11-gauge mainframe construction assures maximum strength, function and durability. 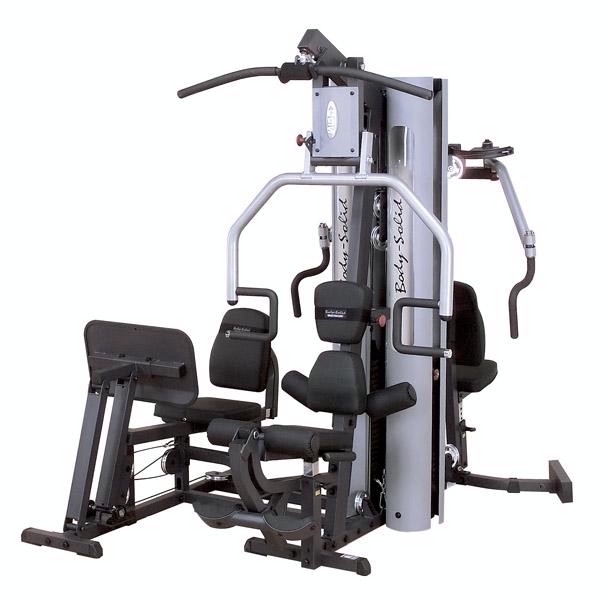 Includes revolving lat bar, revolving straight bar, ankle strap, ab / triceps strap, Total Body Workout� DVD, full size exercise chart and convenient water bottle and towel holder.